Winky D, Stands Not For or By But With The People. We are barely two weeks shy from the historic 2018 elections. It is the first election in which neither Mugabe’s name, that of any of his famed clansmen nor the late democracy stalwart Morgan Tsvangirai will be on the ballot paper. But that is not all! It is also an election where ZANU-PF has negated its usual strategy of abusing jingles to convey messages of Chimurenga. In the not so distant past ZANU-PF was so obsessed with being the link between today and the past, monopolizing and propagating a narrative that links then with the iconic matriarchy Mbuya Nehanda and by extension zvimurenga zvose. Let us just clear this, when Mbuya Nehanda said mapfupa angu achamuka she did not mean the ZANU-PF politburo and a couple of thieves milking Zimbabwe dry. Now back to music. In their quest to rebrand ZANU-PF has now resorted to artwashing. They use Jah Prayzah’s music to connect with the young people who hold the deciding vote in the impending election. This is a project they started years ago. They almost succeeded to give the army a humane and friendly face through making Jah Prayzah the army’s ambassador. The height of the project was the coup of November which had Kutonga kwaro as its sound track. The downside of their artwashing project is that many of us began to realize that our ears were being fed and overdosed with crap. More than that however, is that disenfranchised citizens began to use their agency through functional metamorphosis of song. The under resourced MDC supporters are producing and reproducing musics to vent out their pent-up frustrations and to speak to their aspirations. The poor people’s exploits make a very beautiful contrast to how the filthy rich ZANU-PF desperately deploys artwashing through overplaying Kutonga kwaro and blossoming the image of the artist. Popular artists such as Tronix of the Garwe ngaridzokere mumvura fame and Winky D have also lauded the people’s voice. Winky D’s recent release deserves special treatment based on two things. Firstly, he is a very influential artist. And secondly, the song is a gem and his effort at subliminal message hit straight at the oppressor. In this election season words cannot be abstracted. We always listen and interpret with context. 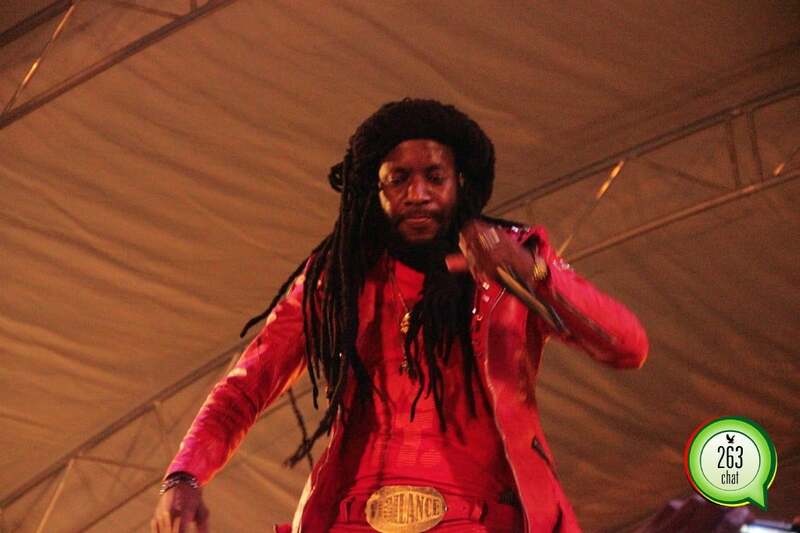 With that in mind Winky D decided to open his song with chant the Gafa Chete Chete, a good three times for emphasis. One is easily taken to MDC rallies where either Amos Chibaya thunders or the crowd vociferously responds Chamisa Chete Chete. Immediately after that Winky D speaks to the issue of numerous Presidential candidates we have on this year election. He sings vamwe vati ita chiIndependent candidate, mavote unowana percentage hundred. The message is clear here most of these imposters will not even vote for themselves at best they will spoil their ballots. The huge number of Presidential candidates speaks to how desperate our position is as a nation. Distant form the popular rhetoric that this is an indication of growing democracy the reality is this a worrisome indicator of how divide we are. Twenty-three people representing conflicting national interests! Winky D also sang Ndipei mukana pakabooka ndinovhara vende. Which or whose vende one might ask? Obviously, it’s ED! In this election a mutated ED fakes transformation his campaign posters have him showing his gap tooth making him almost appealing than Mugabe whose campaign posters showed a man who never smiled. Just like words this election is also about images. Politicians are creatures of power they will do anything to paint a picture of happiness and popular support. Part of the lyrics also say saMoses ndinotungamira huya tiende, borrowing from the Moses/Joshua analogy used by Chamisa at his rallies. Essentially, to the discerning mind Winky D is saying let’s close out the space for Mnangagwa under the able leadership of Chamisa. The deciding vote in 2018 is held by the youth most of whom live in the ghetto leading sad lives like the iconic writer and ED’s namesake Dambudzo Marechera. Paramende also speaks to issues of youth bulge. In the same breadth he sings about defiance urging young people not withdraw from the struggle or to mortgage their agency to old and senile people most of whom have far exceed their sell by date. Already we have heard the MDC threatening to defy an election outcome which does not reflect the people’s will. When Winky D sings Kufa kwemayouth ndokufa kwenyika Yasvika zvino nguva yekuti tiyambuke vakomana musazonetera Zambuko, his voice echoes the popular call to vote wisely and defend the vote.